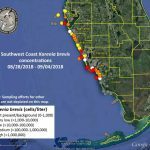 Between patchy rain and lingering red tide, Anna Maria Island workers saw a long slow weekend in place of a usually bustling end-of-summer holiday. Though restaurants and lodgings rebounded somewhat from the slowdown of prior weeks, Labor Day numbers were far from traditional highs. “We have a line. We have people on the patio. 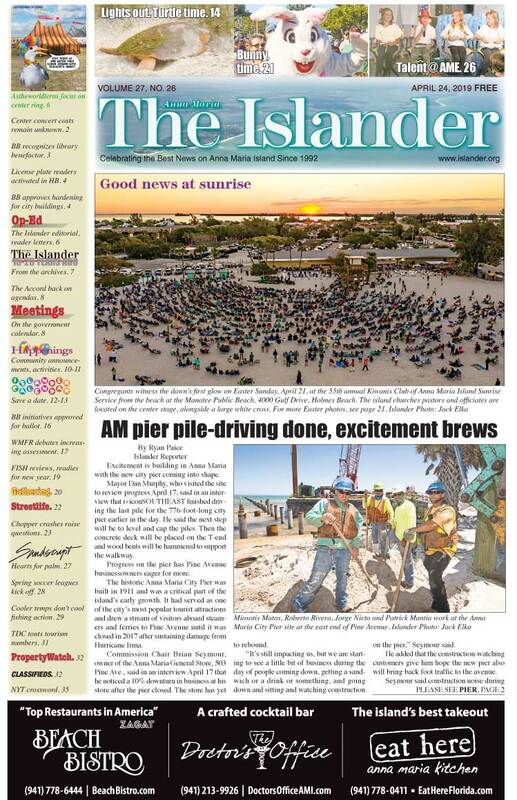 We have people on the beach,” a busy worker reported as the weekend got underway early afternoon Sept. 1. at the Anna Maria Island Beach Cafe at the Manatee Public Beach, 4000 Gulf Drive, Holmes Beach. For weeks, the public beach seemed deserted, with an empty parking lot and no one on the shore. But through the Labor Day weekend, the beach showed signs of life — when patchy thunderstorms were not running beachgoers for indoor cover and to their cars. 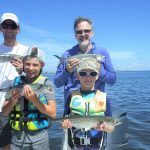 Accommodations were easy to find on Anna Maria Island, with lodgings experiencing lower occupancies and incidental travelers enjoying their pick of rooms or rental houses. Elliot Falcione, executive director of the Bradenton Area Convention and Visitors Center, said in a phone interview Sept. 6 that island business owners informed him they were slow over the holiday weekend. “One lodging reported a 10 percent occupancy,” Falcione said. 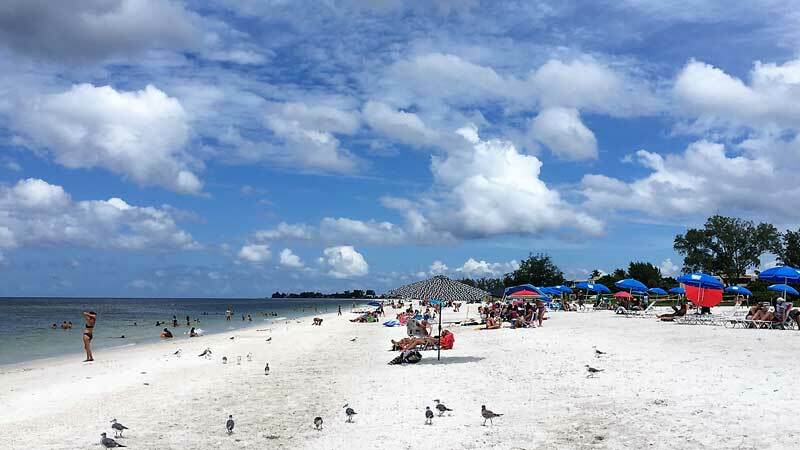 Barbara Baker of Anna Maria Island Resorts said the weekend was “more like a regular summertime weekend.” The four properties — Tortuga, Tropic Isle, Tradewinds and Sea Side — had some cancellations Baker said, but others kept their reservations, enjoying the pool and island activities. Bungalow Beach Resort, on the Gulf in Bradenton Beach, reported an occupancy of 100 percent Sept. 1 and an occupancy of 86 percent Sept. 2, according to owner Gayle Luper. Falcione said the BACVB would launch a campaign to lure visitors to the island as soon as the area has consistent clearing of red tide. He said the BACVB would cast a 100-mile net across central Florida, hoping to bring day-trippers and overnighters to the island. In the meantime, Falcione asked locals to act like tourists and frequent restaurants and attractions. Some say locals played a major role in keeping island and Cortez eateries busy over the holiday weekend. The Beach Bistro, 6600 Gulf Drive, Holmes Beach, had 100 reservations on its books for Sept. 2, an overflowing bar and walk-ins looking to dine. The Waterfront Restaurant, 111 S. Bay Blvd., Anna Maria, reported steady customers all weekend, perhaps encouraged by a Labor Day special of 25 percent off the check. “We are getting great support from our locals,” Burke-Phillips said on the phone Sept. 3. 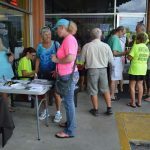 Sept. 5 fundraiser that was co-sponsored by A Paradise Realty to benefit Anna Maria Island Turtle Watch and Shorebird Monitoring.